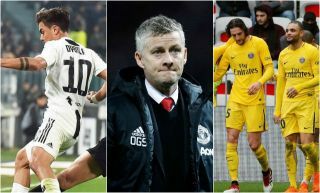 Although it’s still a while until the summer transfer window, rumours and gossip at the moment appears to be giving a reasonable idea of how Manchester United might look next season. It’s become more or less expected now that Ole Gunnar Solskjaer will be the man overseeing it all, with talk hotting up that he’ll be named the new permanent manager of the club after a hugely impressive stint as interim boss. The Daily Mirror have claimed an announcement could even be made over this international break, with the Norwegian tactician also sure to get a large amount to spend on revamping this squad that struggled so badly before he came in and replaced Jose Mourinho. Despite the fine work done by Solskjaer, his side are now out of the FA Cup and are not guaranteed a top four spot by any means, so it’s clear some new blood will be needed to turn this team into title contenders next season. Linked with Manchester United by Calciomercato, Kostas Manolas seems the ideal signing to improve United’s defence on the cheap this summer. The Greece international has been a rock solid performer in Serie A and should have little trouble adapting to the Premier League. The Daily Mirror claim he could be available for as little as £31million if Roma don’t qualify for the Champions League, and that’s about as good a deal as Man Utd could dream of ahead of next season. Nearing the end of his contract with PSG and with extremely bad relations with the club, according to L’Equipe, Adrien Rabiot is surely on his way out of the Parc des Princes this summer. Don Balon have claimed MUFC are in advanced talks over snapping him up, though of course the race for his signature could be a fierce one this summer as it’s rare such a quality young player becomes available on a free. United would certainly do well to land Rabiot as they surely need a replacement for Nemanja Matic in the middle of the park.